A crewmember aboard the F/V DEVOTION sustained a head injury on Saturday, August 4th approximately 34 miles southwest of Cordova, Alaska. It was reported that following the injury, the 51-year-old fell and required immediate medical attention. Watchstanders received a relay call from the charter vessel Dan Ryan requesting assistance in the form of a medevac. 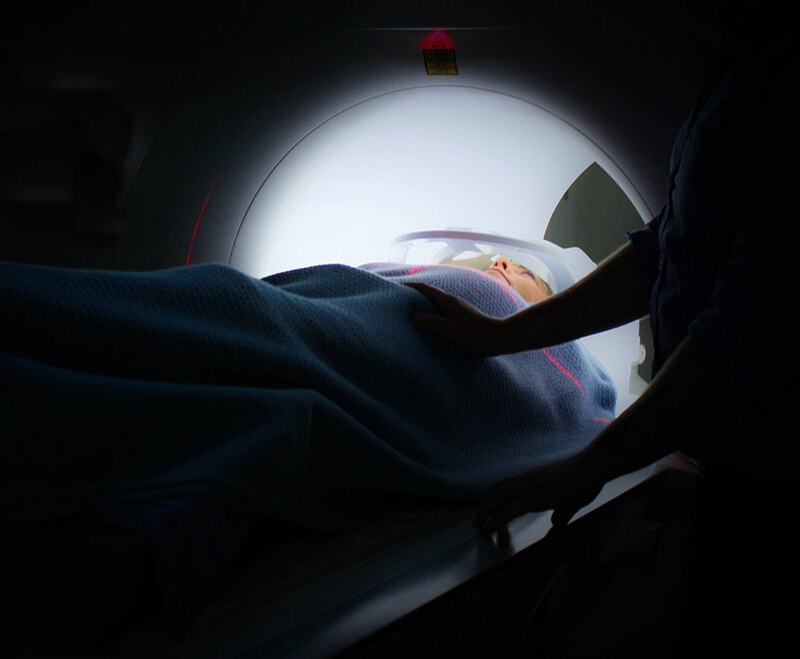 After a consultation with the Coast Guard duty flight surgeon, it was confirmed that the crewmember did indeed need immediate medical attention. 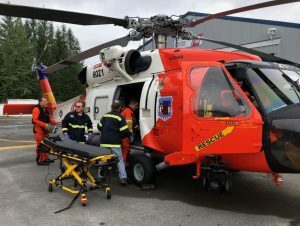 A Coast Guard Air Station Kodiak MH-60 Jayhawk aircrew responded to the call and delivered the crewmember to awaiting medical personnel. 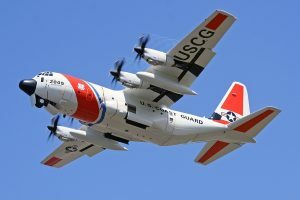 The U.S. Coast Guard medevaced an 18-year old crewmember on Thursday, July 26th after he suffered a severe hand injury aboard the F/V PACIFIC HARVESTER. 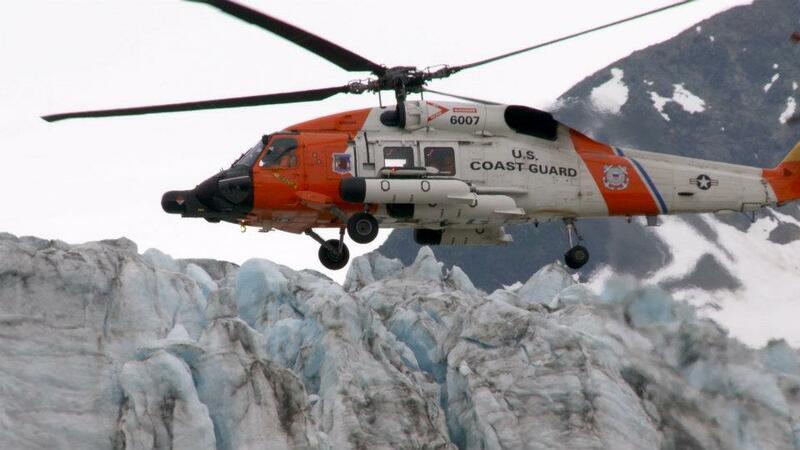 The vessel was located in Prince William Sound, Alaska at the time of the incident. 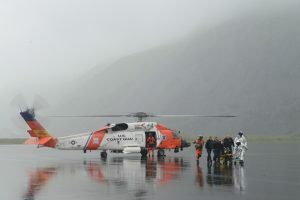 The F/V PACIFIC HARVESTER master called watchstanders at Coast Guard Sector Anchorage command center to request a medevac as the crewmember had suffered a hand injury and was showing signs of shock. After consulting with the duty flight surgeon, a medevac was recommended. A Valdez station boat crew was dispatched and directed to the fishing vessel. 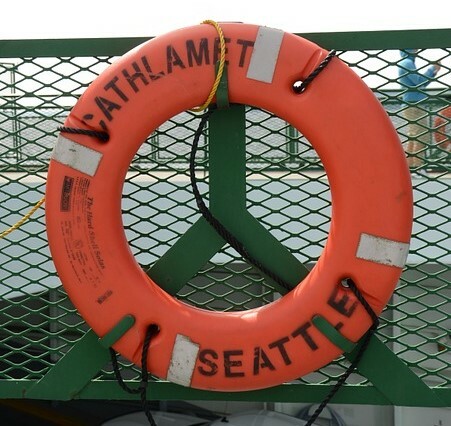 An emergency trauma technician treated the injured 18-year-old while he was in transit, then delivered him to emergency medical personnel awaiting his arrival at the Valdez pier. 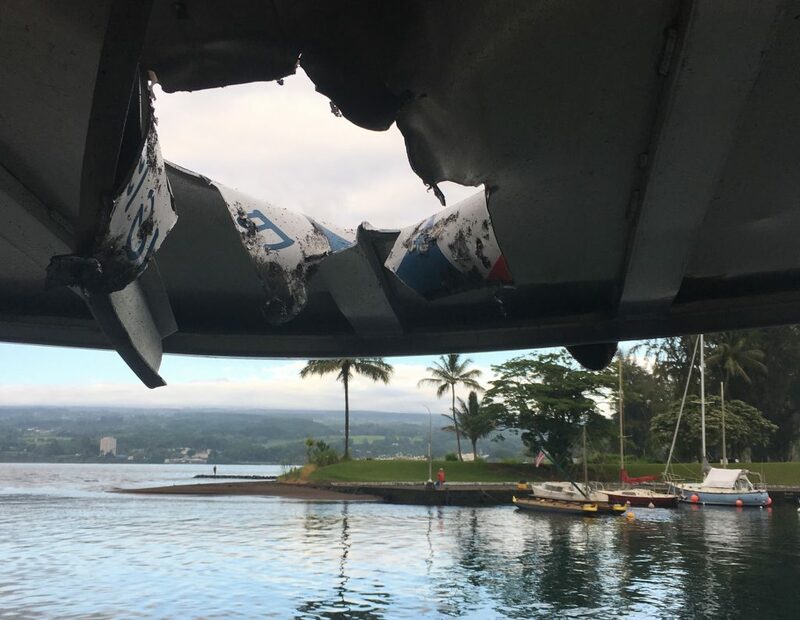 The U.S. Coast Guard and the Hawaii County Police Department continue to investigate an incident in which “lava bombs” showered down on a Kapoho Bay sightseeing vessel, injuring 23 tourists. Officials reported that the lava tour boat was cruising near the erupting Kilauea volcano on Hawaii’s Big Island when lava bombs began crashing down on the vessel. It has been reported that about 50 lava bombs hit the boat and that one, about the size of a basketball, pierced the metal roof of the vessel, injuring 23 passengers. Sector Honolulu watchstanders received the initial call from 911 at about 6 a.m. that three crewmembers, as well as three tourists, had been injured in an incident in Kapoho Bay aboard the lava sightseeing vessel Hot Shot. The sightseeing vessel returned to Hilo harbor where emergency medical personnel were waiting to receive the injured. Ten passengers were treated at the scene for cuts and burns, while 13 others were referred to Hilo Medical Center for treatment. Four were sent by ambulance, and one woman in her 20s has been listed in serious condition with burns and a fractured femur. Commercial fishing vessels must comply with safety regulations established by federal and maritime law. When violations are found during a boarding inspection, a vessel may be issued a violation and possibly a fine. When violations are particularly dangerous to the crew or the environment, they fall into a different category known as “especially hazardous conditions”. After finding several safety violations and environmental infringements, the U.S. Coast Guard terminated the voyage of the F/V Nushagak Spirit sighting “especially hazardous conditions”. The vessel was located approximately three miles east of Umnak Island when the crew of the Coast Guard Cutter Mellon, a 378-foot high endurance cutter based in Seattle, Washington, conducted the onboard inspection. They found one fishing violation, 14 safety violations, as well as the improper discharge of bilge water. The vessel master admitted to pumping bilge water over the side of the vessel, which is in direct violation of the Clean Water Act. The U.S. Coast Guard sent this vessel back to port. Federal law deemed this vessel “unseaworthy”. 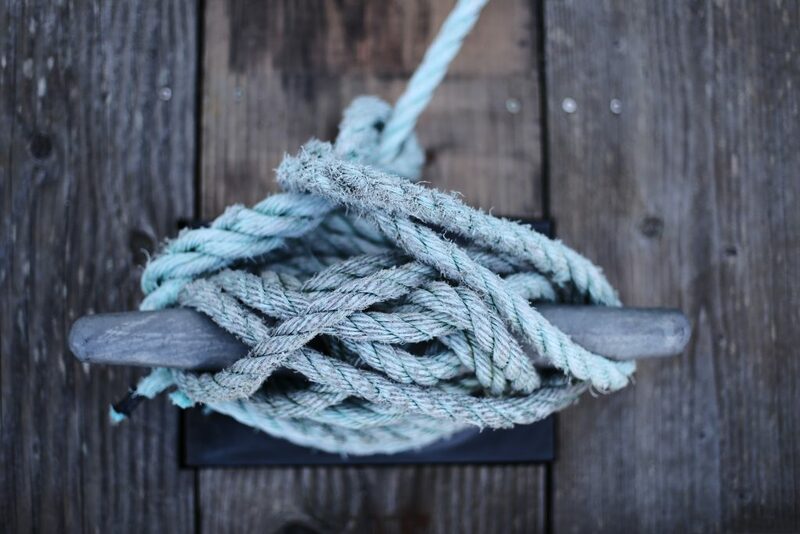 The U.S. Coast Guard recently responded to a call from the 36-foot fishing vessel, Lacie Belle, that a crewmember was suffering from seizures. The call came in at 5:25 p.m. and by 5:54 p.m. an MH-65 Dolphin helicopter from Sector North Bend was on the scene, approximately 10 miles north of Cape Blanco. 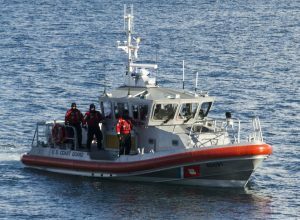 The Coast Guard sent a rescue swimmer down to assess the crewmember and determined that the man needed immediate medical attention. 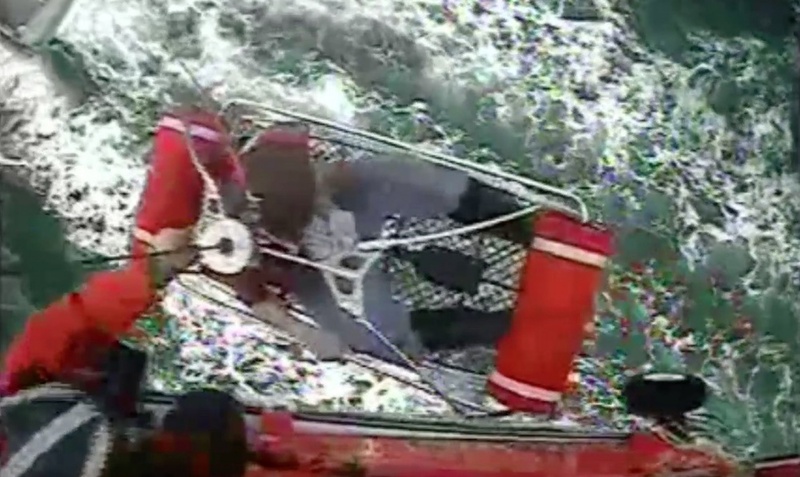 A basket was sent down to the fishing vessel and the crewmember was hoisted to the waiting helicopter (watch the heroic video). The crewmember was successfully airlifted to medical personnel at the Bay Area Hospital in Coos Bay, Oregon by 6:28 p.m.
Everyone wants a culture of safety. Vessel owners want it, maritime workers want it, and their friends and families want it. But what is it and what steps must an organization or vessel owner take to establish it? It doesn’t happen overnight, and it doesn’t happen in a vacuum. It must start at the top, and it must feature consistency, trust, and truth. It is about doing the right thing even when no one is looking.